The World Rapid and Blitz Chess Championships 2018 will be held in St. Petersburg, Russia from December 25-31. 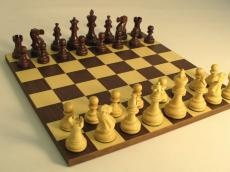 Given the strong relationship between the Kingdom Saudi Arabia and Russia, the Saudi Chess Federation accepted FIDE’s request to shift the second edition of the King Salman World Rapid and Blitz Chess Championship from Riyadh, and to partner the Russian Chess Federation in hosting it in St. Petersburg, Russia, keeping the same championship title. FIDE holds a very strong relationship with the General Sport Authority of Saudi Arabia and the Saudi Chess Federation. This relationship resulted in the great success of the first edition of King Salman World Rapid and Blitz Chess Championship that was held in Riyadh in December 2017. The first edition featured some of the greatest minds in chess from around the world and offered very comfortable conditions for the players. Spreading chess around the world is an objective that the Saudi Chess Federation shares with FIDE, which strengthens their cooperation and they look forward to the success of the second edition of King Salman World Rapid and Blitz Chess Championship in St. Petersburg this month.